Yesterday I experienced what all us nail bloggers and nail polish lovers inevitably experience, a big fat nasty break. Actually it's not a total break, but it is a break on my ring finger right down at the skin level that goes half way across my nail - AND it's on my swatching hand. GRRRRRRR I currently have it held together with three coats of Gelicious gel polish and I have to say it's doing pretty good. 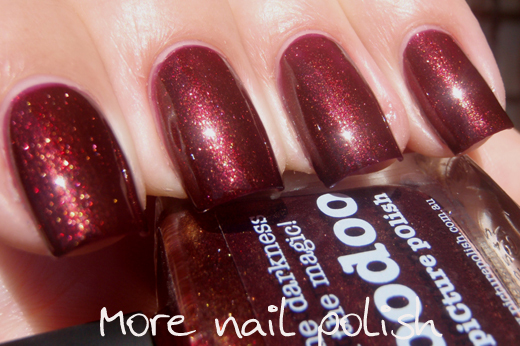 I'll continue with daily polishes changes while it's still attached, then I'll be working my way through stored up swatch photos while it grows out. Last weekend I was able to swatch a whole bunch of Picture Polishes that I recently received to add to my colour guide. After these shades I still have another 13 to show you. Yippeee. All these shades are from the regular Picture Polish line. 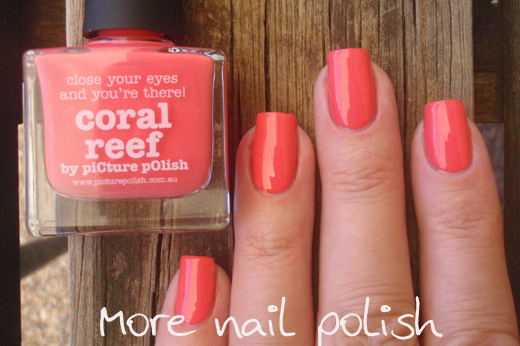 Coral reef - rich salmon or coral pink. Two coats with Seche Vite. 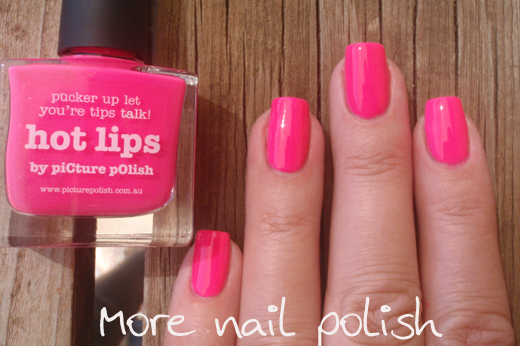 Hot lips - bright neon pink. Two coats over a white base. 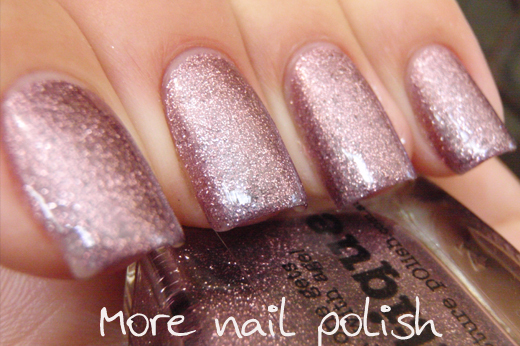 Topped with Seche Vite. 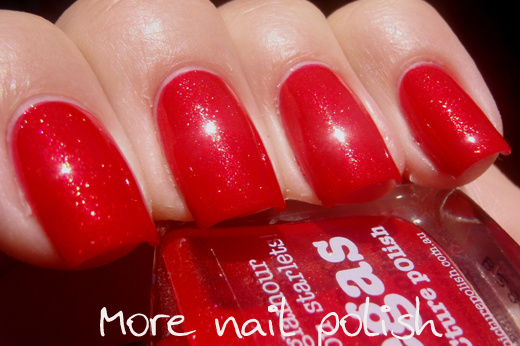 Vegas - Bright true red with a golden red shimmer. Two coats with Seche Vite. 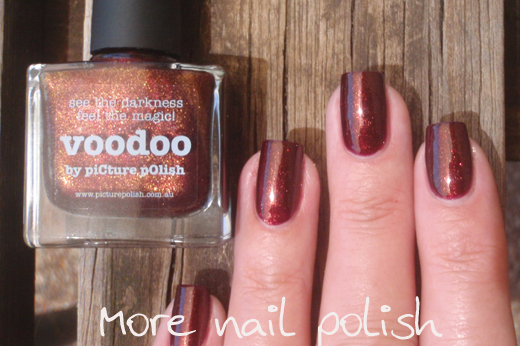 Voodoo - Dark maroon with gold and crimson shimmer. Two coats with Seche Vite. Antique - Bonus pictures because I didn't like my original swatches of this anymore. 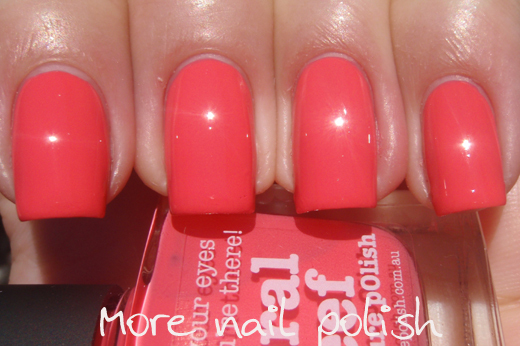 Two coats with Seche Vite. Hot lips come to mamma!!!!! 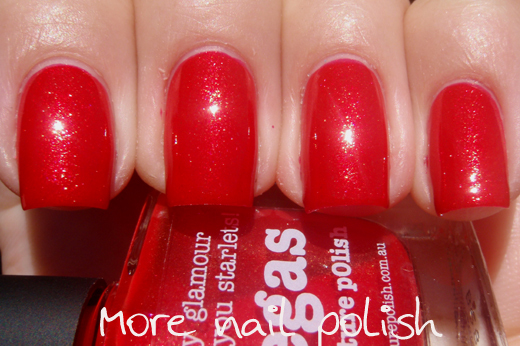 Hot Lips is SO awesome!! 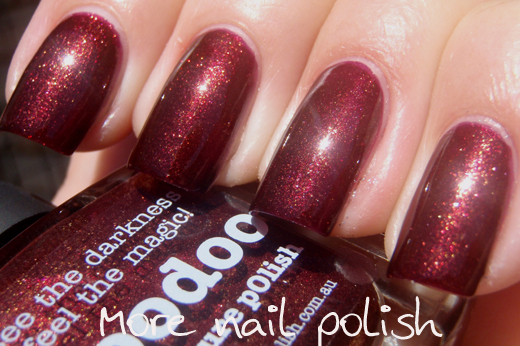 Your swatches are flawless, Voodoo is like jaw dropping beautiful! Vegas is gorgeous! 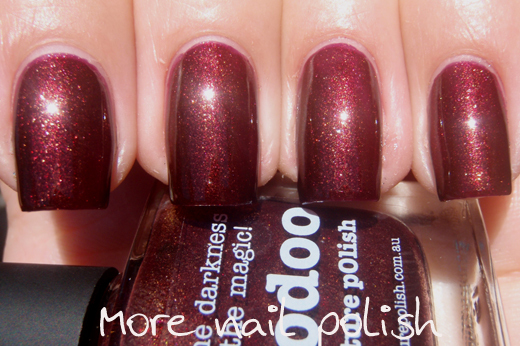 How does it compare to O'Hara and OPI The Spy Who Loved Me? Thanks for the beautiful swatches.